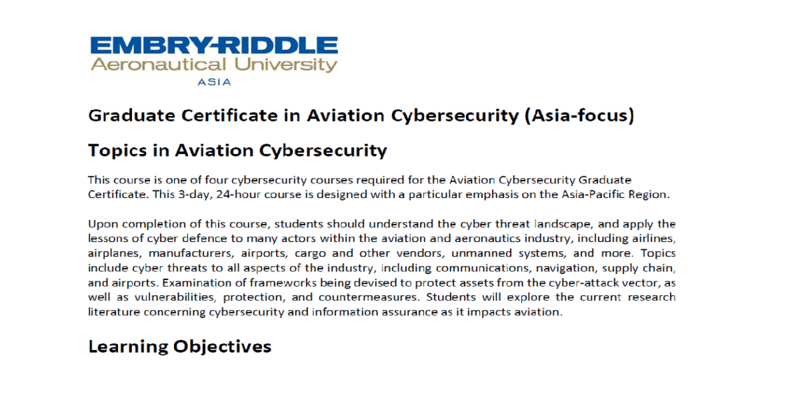 This course is one of four cybersecurity courses required for the Aviation Cybersecurity Graduate Certificate. 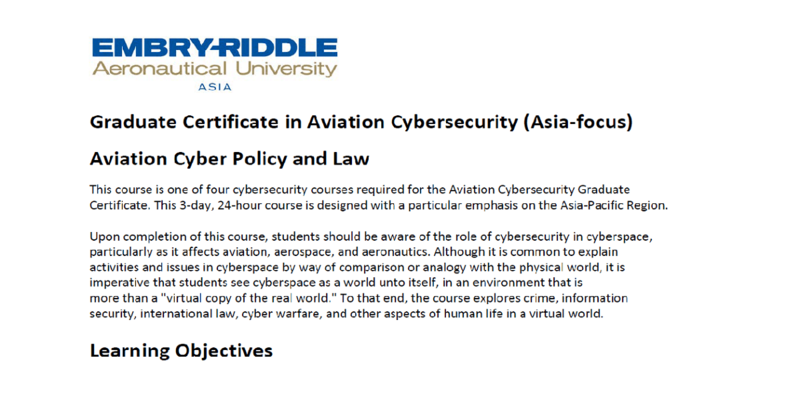 This 3-day, 24-hour course is designed with a particular emphasis on the Asia-Pacific Region. 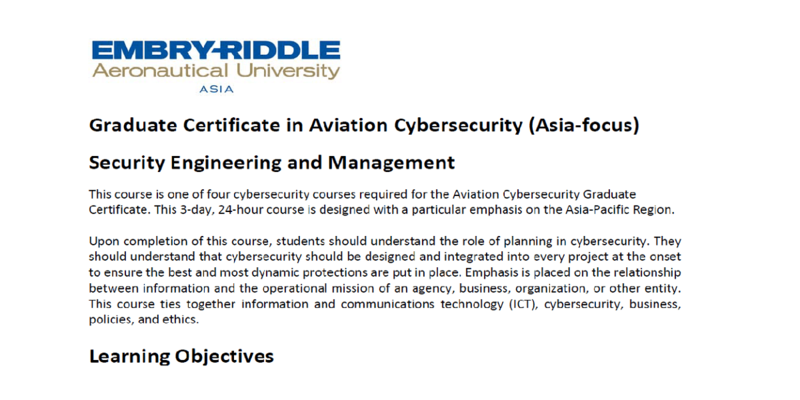 Upon completion of this course, students should understand the overall concept and practice of information security as a comprehensive approach to securing an organization’s digital assets. Students should also understand how information security fits into, and impacts, the entire organization, society and individuals. 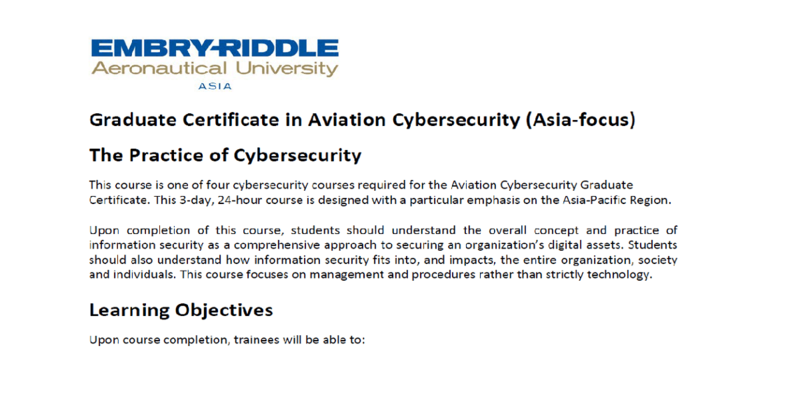 This course focuses on management and procedures rather than strictly technology.